to understanding and creating a simple, scalable platform that delivers fast, secure access to streaming data across the enterprise. The rapid and massive proliferation of data is causing a shift in the way that today's organizations do business and the way they interact with data. 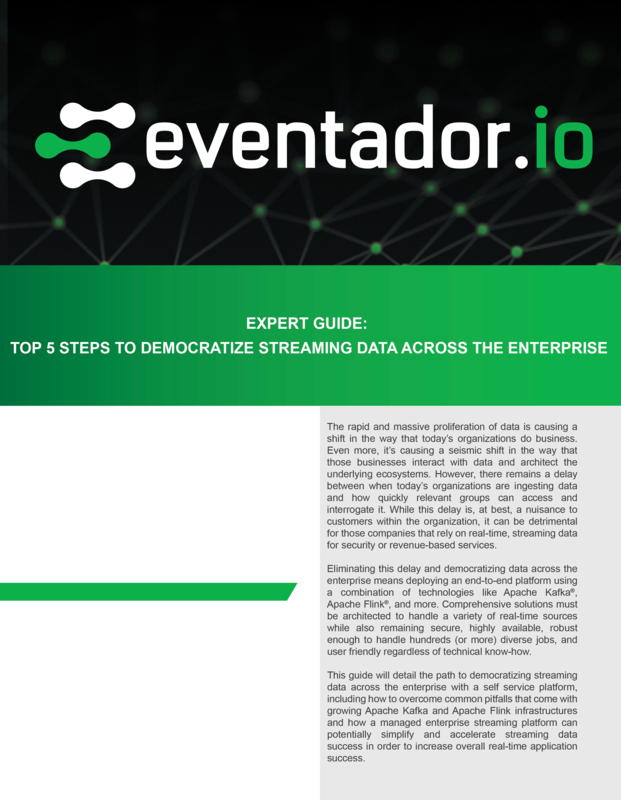 This guide details the path to democratizing streaming data across the enterprise with a self-service platform, including how to overcome common pitfalls that come with growing Apache Kafka® and Apache Flink® infrastructures.